CAZENEUVE, LOUIS-JOSEPH-CHARLES, farmer, businessman, doctor, militia officer, and educator; b. 16 Feb. 1795 in L’Assomption, Lower Canada, son of Louis-Amable Cazeneuve, apothecary and doctor, and Esther Daguilhe, daughter of notary Joseph Daguilhe of L’Assomption; d. there 29 Nov. 1856. Louis-Joseph-Charles Cazeneuve received his classical education at the Petit Séminaire de Montréal from 1806 to 1814; he was considered a good pupil in Latin, Greek, and rhetoric. On leaving the college he began an apprenticeship with a doctor in his village, thereby continuing a family tradition that went back four generations. However, prior to obtaining his licence to practise medicine, on 8 July 1818, he remained uncertain about what career to follow. Between 1816 and 1818 he described himself in turn as apothecary, botanist, farmer, and merchant, stating a preference for the last-named occupation. In 1815 Cazeneuve had inherited from his mother a substantial sum of money, a farm that was “virtually all arable” with a house, cowshed, and outbuildings, as well as property on Rue Saint-Étienne in L’Assomption, on which stood a fine wooden house, stable, dairy, cowshed, and piggery. From then on he seems to have obtained some income from selling agricultural produce. On 9 Jan. 1816 Cazeneuve married Charlotte Cormier, daughter of François Cormier, dit Malouin, an important farmer at L’Assomption. The young couple, who were to have four children, went to live in the house on Rue Saint-Étienne, a residence eminently suitable for the future doctor since it was large enough to provide for a consulting room and was located on the main business thoroughfare where the bourgeoisie of L’Assomption was concentrated. Cazeneuve made his home there until 1843, when he decided to occupy a two-storey building on Rue Notre-Dame. 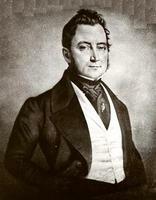 At the outset of his medical career Cazeneuve recruited patients from his father’s large and varied clientele, and thus received invaluable help at a time when competition was keen. While Jean-Baptiste Meilleur* looked after the villagers of L’Assomption, Cazeneuve shared the practice in the countryside with Truman Sterns (Starves) and Thomas-Edmond d’Odet* d’Orsonnens. Cazeneuve extended so much credit to rural patients that when he died they owed him 8,000 livres; his heirs judged that nearly a quarter of this sum was unrecoverable. Like a number of his colleagues, however, Cazeneuve did not live solely on professional fees. He drew income from the produce of his land, the sale of lots, and several loans made at the legal rate of six per cent. Endowed with an inexhaustible capacity for hard work, he succeeded in enlarging his estate. At the time of his death he owned three properties that were for the most part arable, together with their outbuildings, as well as a tract of standing timber and a number of lots in the village on some of which there were buildings. In the small community in which he lived Cazeneuve was a figure of distinction. In 1827 he became surgeon to the 1st Battalion of L’Assomption militia, a position he retained until 1834. He was elected churchwarden of the parish in 1829, and the following year the taxpayers chose him as a trustee for the newly established parish schools. He sat on the council for these schools with the parish priest, François Labelle, and Jean-Baptiste Meilleur, among others. From then on Cazeneuve maintained an interest in the progress of education in his region. Despite the hostility of several leading citizens of the area, he joined forces with Labelle and Meilleur to set up the Collège de L’Assomption in 1832. He devoted a great deal of his energy to this institution. He was a life member of its board of trustees and on occasion served as prefect of studies and science teacher. A fervent believer in education, Cazeneuve had a library well stocked with scientific, medical, historical, geographical, musical, and even gastronomical works. He passed on to his pupils his passion for reading, and ordered books for them from Édouard-Raymond Fabre in Montreal. 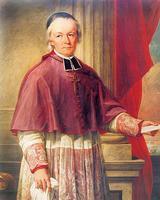 Cazeneuve belonged to the diocesan council of the Society for the Propagation of the Faith from its foundation in 1838 by Bishop Jean-Jacques Lartigue*. He passed for a moderate Patriote, and declared his support for “an economic war fairly waged against England.” He died at L’Assomption on 29 Nov. 1856. AC, Beauharnois (Valleyfield), Minutiers, Godefroy Chagnon, 1er juin 1827, 24 mai 1830, 3 juin 1846; Joliette, Minutiers, Camille Archambault, 26, 29 déc. 1856. ACAM, RLB, III: 349. ANQ-M, CN5-3, 15, 21 janv., 27 mai, 1er juin, 21 juill., 8 sept., 27 oct. 1835; 29 janv., 1er août 1836; 17 avril, 6 mai 1837; 19 août 1839; 29 avril 1842; 21 févr., 15 nov. 1843; 19 avril 1845; 7 juill. 1847; 18 janv., 5 avril 1848; 26 mars 1849; 15 janv., 20 avril, 18 mai, 25 août 1850; 15 janv., 19 mars, 26 juin 1851; 6 mai, 1er juill., 7 sept. 1854; 28 mars 1855; CN5-18, 27 avril, 30 mai, 17, 20 nov. 1815; 7, 14 janv., 21 mars, 4 avril, 14 juin 1816; 13 août, 19 oct. 1822; 29 sept., 28 déc. 1824; 10 juin, 26 juill., 23, 25 sept., 1er oct. 1826; 26 juin 1827; 9 oct. 1830; CN5-24, 10 juin, 30 sept. 1816; CN5-37, 21 sept. 1789; CN5-42, 6 oct. 1832, 15 mars 1848. ANQ-Q, P-69/1. AP, Assomption-de-la-Sainte-Vierge (L’Assomption), Reg. des baptêmes, mariages et sépultures, 16 févr. 1795, 9 janv. 1816, 2 déc. 1856. AUM, P 58, C2/203; U, Cazeneuve à Drummond, 11 mars 1845. Biographie et oraison funèbre du Rév. M. F. Labelle, et autres documents relatifs à sa mémoire, ainsi qu’à la visite de Philippe Aubert de Gaspé au collège de L’Assomption (Montréal, 1865). Can., Prov. of, Statutes, 1841, c.68. Arthur Dansereau, Annales historiques du collège de L’Assomption depuis sa fondation (Montréal, 1864). Le 19 janvier 1865 au collège L’Assomption (Montréal, 1865). La Minerve, 3 déc. 1856. Le Spectateur (Montréal), 12 août 1813. Liste de la milice du Bas-Canada pour 1828 (Québec, s.d.). Liste de la milice du Bas-Canada pour 1832 (Québec, s.d.). Anastase Forget, Histoire du collège de L’Assomption; 1833 – un siècle – 1933 (Montréal, ). Meilleur, Mémorial de l’éducation (1876). Pierre Poulin, Légendes du Portage, Réjean Olivier, édit. (L’Assomption, 1975), 41–42. C. Roy, Hist. de L’Assomption. Gilles Janson, “CAZENEUVE, LOUIS-JOSEPH-CHARLES,” in Dictionary of Canadian Biography, vol. 8, University of Toronto/Université Laval, 2003–, accessed April 22, 2019, http://www.biographi.ca/en/bio/cazeneuve_louis_joseph_charles_8E.html.